The New Focus RS mk2 just got better. At last a fully adjustable suspension system for the FOCUS RS 2009. The Pumaspeed Workshop team are ready to fit the KW Variant 3 Coil Over Suspension kit - Focus RS Mk2 in our Head Office located here. Therefore making parts and labour a total cost £1,773.95 (inc. VAT). 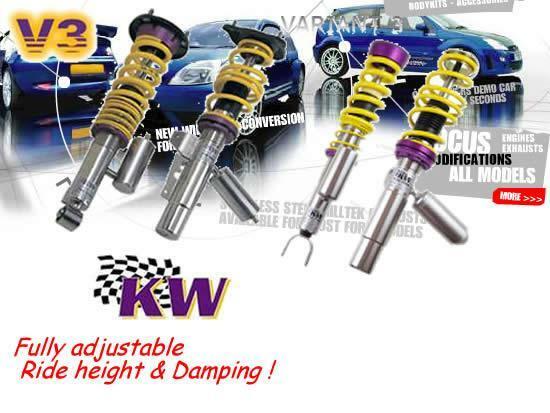 Pumaspeed have a specialist distribution team that can dispatch the KW Variant 3 Coil Over Suspension kit - Focus RS Mk2 to any destination worldwide.